Teens. Yeah. 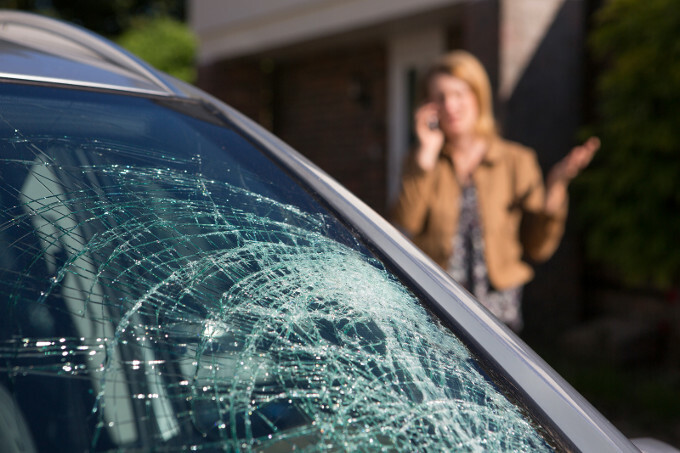 Teens beat windshields, every time. Teens are rough on cars. Boy, do we know that. They only signal as an afterthought once they start the turn. “Stop” actually reads “Stop only if you want to”. Tailgating happens behind every car on the road, not just in the field before the football game. Okay, we know not all teens are like that — we’re just generalizing here! Your angel teen would never…. We get it. Sure. Sure. Speeding and tailgating just tend to be more common among teens and other (bad) drivers, and both can cause damage to your windshield. See, speeding can kick up rocks and dirt, and while it would be close to a fluke for one of those rocks to fly up from the wheel-well and hit the windshield instead of another window on your car, it has happened. More than anything, speeding is just not safe. A wreck at any speed is bad, but at a speed over the limit? Did someone order a street pizza? There is never any excuse for speeding, unless you are a police officer, firefighter, or EMT. Nothing else flies. Not in the eyes of the law, and not in the eyes of smart drivers everywhere in the world. Except the Germans. But we’re not in Germany. Forget the Germans! You’ll never drive the Autobahn! Ok, back down to earth, people. Rocks, dirt, and other bad little bits of debris would love to slap your windshield and other auto glass silly. You can’t always prevent it from happening, but you can minimize the amounts of times it could happen. By refraining from speeding and tailgating. I guess the rest is silence.